Joe Duffy is well used to holding up a mirror to Irish life with his 'Liveline' slot on RTÉ radio, and now he is taking on a more reflective role. Duffy will star as the Magic Mirror in this year's production of 'Snow White' at the Tivoli Theatre. The role is being filmed in advance, which means it won't affect Duffy's schedule on 'Liveline'. Duffy said: "I'm delighted to be part of this year's panto, as I am a genuine fan and haven't missed a panto since they began. It's always a wonderful show." Producers Alan Hughes and Karl Broderick were delighted when he agreed to the part. Broderick said: "Joe was my dream choice for the role of the Magic Mirror. You can tell from listening to Joe on the radio that he's naturally very funny and quite cheeky. "In the show, he asks the Evil Queen to 'Talk to Joe', but he makes matters worse when he can't tell her she's the fairest one of all. The part was written for Joe and he's hilarious." 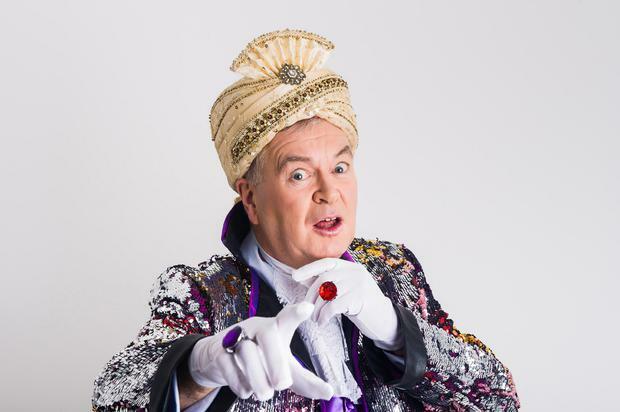 The panto runs at the Tivoli theatre from December 4 to January 13.